The trade relationship between the United States and Europe is improving, German Agriculture Minister Julia Klöckner said on Saturday (28 July), but there is no guarantee the bloc will buy the quantity of soybeans that Washington expects. After the talks, Trump highlighted benefits for US farmers. “The European Union is going to start, almost immediately, to buy a lot of soybeans,” he told reporters. Klöckner, speaking to Reuters on the sidelines of a G20 meeting in Buenos Aires, said the amount of soy Europe will import is yet to be determined. “Will we be able to do whatever President Trump wishes for? I don’t know. Let’s see whether this will be the case or not,” she said. The EU was expected to import 15.3 million tonnes of soybeans in the 2018/19 crop year, according to data from the US Department of Agriculture on 12 July. The United States is the world’s No. 2 exporter of the oilseed after Brazil. 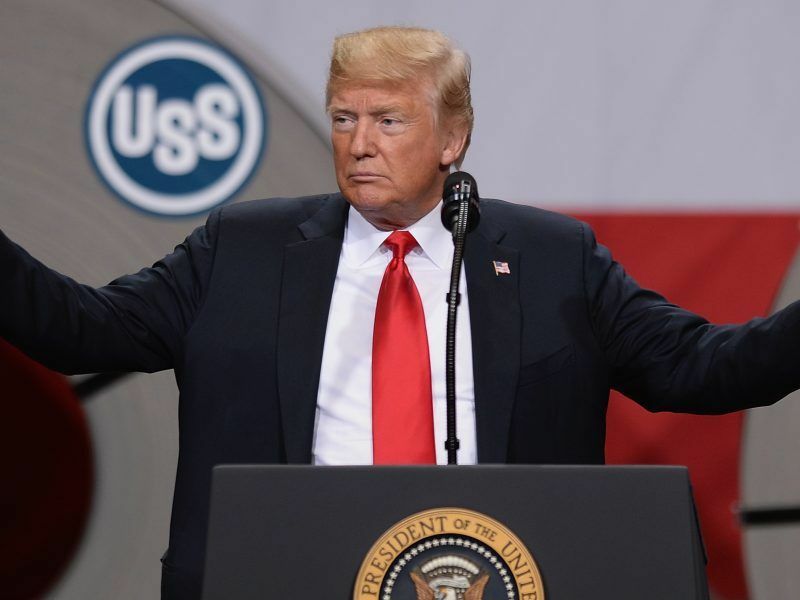 After Wednesday’s meeting at the White House, Trump agreed to refrain from imposing car tariffs while the European Union and the United States start talks on cutting other trade barriers. Trump faced a backlash from some US Midwestern farmers and lawmakers after announcing on Tuesday a $12 billion aid package intended as a temporary boost to growers hit by the escalating trade war between the United States and China. China imposed tariffs of farm products including soybeans after Washington slapped duties on Chinese goods. “A lot of US farmers are currently under a lot of pressure caused primarily by the reactive tariffs and they are suffering a lot,” Klöckner said. “If you keep in mind that a lot of these farmers are supporters of President Trump, they have really felt the pressure. I think this has really helped Trump to understand that these tariffs can be potentially harmful and he has now reined in and we are moving towards a more positive situation,” she said. Other European officials also expressed relief after Trump and Juncker agreed to tackle their transatlantic trade dispute. “It’s a good thing for both the EU and the United States to have come together and agree to keep their conversation going, instead of seeing an exacerbation of the trade dispute,” Klöckner added. Was agriculture was part of US-EU trade talks? 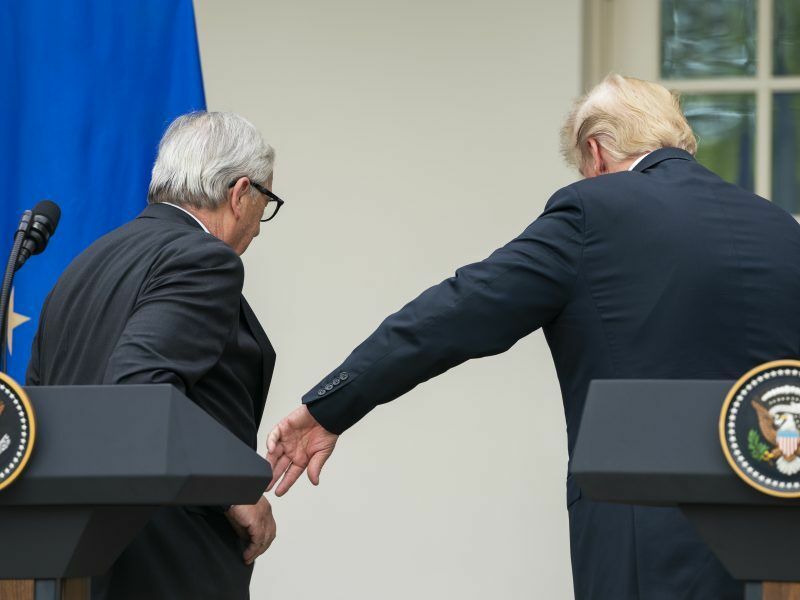 The US treasury secretary insisted Sunday that agricultural issues were discussed in President Donald Trump’s talks last week with Jean-Claude Juncker, contradicting the EU Commission president’s account of the negotiations. “I was in the room and we had specific conversations about agriculture and the need to break down the barriers on agriculture and have more opportunities for our farmers,” Mnuchin said on Fox News. “When you read the joint statement … you will see no mention of agriculture as such, you will see a mention of farmers and a mention of soybeans, which are part of the discussions and we will follow up that,” EU Commission spokeswoman Mina Andreeva said.